Hi there! Someone asked for a list of all of our live streaming moments on Periscope, Blab, Facebook, and Stories on Snapchat. Here they are. The newest ones are on top of the list. Our live streaming started in late October, and kicked off a year of streaming on January 1, 2016. You can find lists of our live streams below. You can also see our daily tips category here. This series is a daily series on Periscope. I give social media and bogging tips as well as updates and motivation for your own blog. Make sure to follow me on Periscope at @chris_ashbach to chat with me live! Below is a daily list of every episode. You can also browse the much prettier category page, or go over to YouTube and watch our Daily Social Tips playlist. It’s also embedded below. If you want to learn how to blog, please see our page on getting started here. It was designed to get you up and running in just a few hours. February 22: Ep 53: Blogging Thoughts: Video, Categories, and income. February 18: Ep 49: Ha Ha. Suites for Interns?! February 11: Ep 42: Great Use of Twitter Minnesota Wild! February 9: Ep 40: Take Care of Your Customers! February 1: Ep 32: Are You Making Your Brand a Institution? January 25: Ep 25: Don’t be a jerk. January 22: Ep 22: Puppies. That’s the Answer. Grow Your Reach With Cuteness. January 21: Ep 21: Organizing Content by Theme. Our 2016 Themes. January 20: Ep 20: Don’t Forget Your Personal Networks! January 18: Ep 18: Google Vs. Facebook Ads. What’s The Difference? January 15: Ep 15: Last-Minute Strategies for Hotels, and Other Sellers. January 14: Ep 14: Practice Makes … You Better. Don’t Quit. 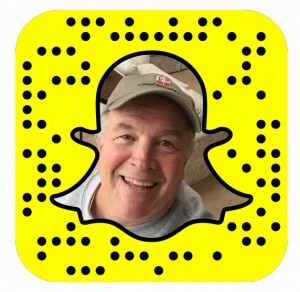 January 4: Ep 4: Teaching Grandparents Snapchat. January 3: Ep 3: Am I Using Twitter Correctly? Ep -4: Why Bloggers Should Work Together. First, make sure you follow us on Twitter. This is the glue that holds these stories together. Use #dan330 to chat with us or use these individual accounts: @dan330msp is our blog, @freedomgetaways is Minnesota Travel, @DanAshbach is Dan, @ChrisAshbach is Chris, and @woods_and_water is our outdoors account. We Periscope at: @dan330msp for the blog, @chris_ashbach for Chris, and @danashbach for Dan. Find us at: @chrisashbach1 for Chris, @dan330msp for the blog, and @danashbach for Dan.